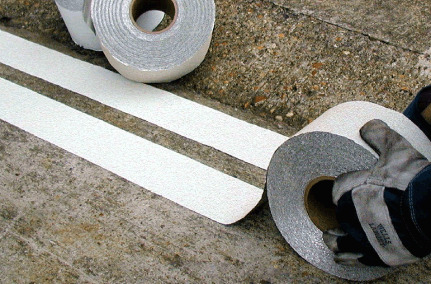 Our top-quality road tape is specifically designed for road marking purposes. It is made by mounting reflective crystals (glass beads) on an aluminium foil base with an aggressive adhesive backing; the result is an extremely strong line marking tape that's visible in any light. Label Source supply reflective tape in two different colours: white and yellow. If you cannot find what you are looking for on this page, please get in touch with our team for further advice. No matter how you use it, we are confident that our reflective tape will not let you down. Click here to see more tape/marking products from Label Source.